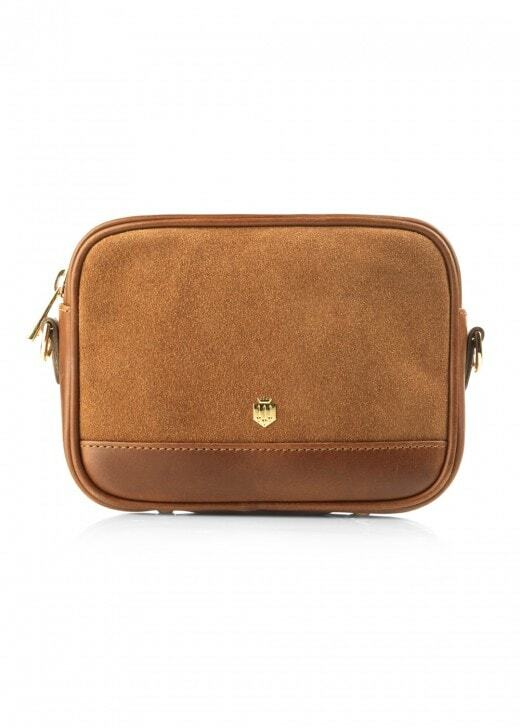 The Madison Bag is a mini cross body bag which is carefully crafted using tan suede for both the exterior and interior. The Madison Bag is a mini cross body bag which is carefully crafted using tan suede for both the exterior and interior. This bag contains a detachable gold chain and leather shoulder strap. The Madison is a neat, elegant little bag which is perfect for any occasion.